Ever since the launch of the MōVI more than 5 years ago we have seen countless gimbals in all shapes and sizes flooding the market. 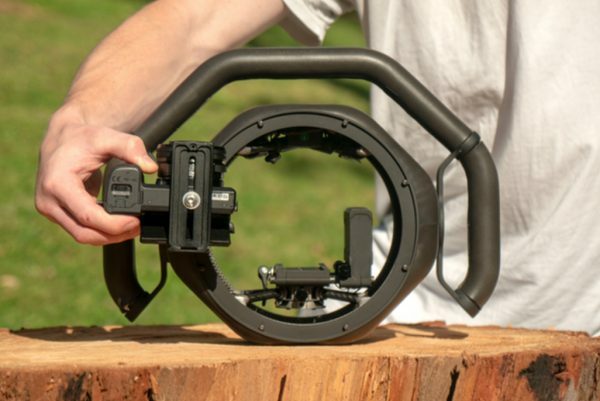 The latest gimbal that is trying to get off the ground is the Arculus ONYX. The Arculus ONYX is a three-axis camera gimbal that features a rather unique design. 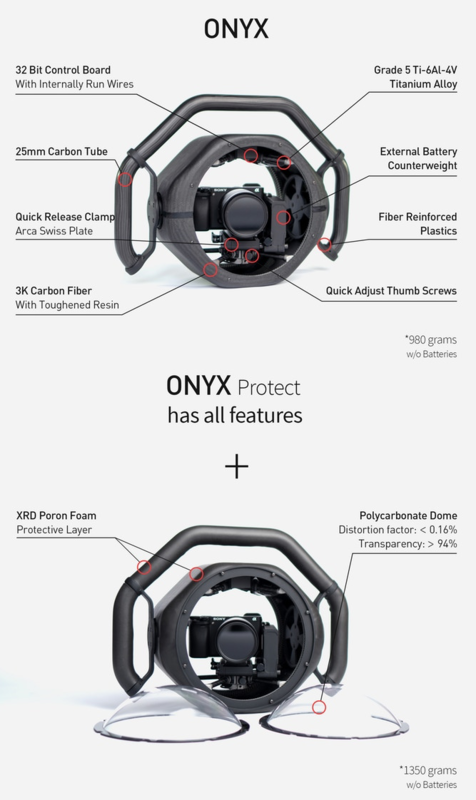 Unlike most traditional gimbals you have seen, the ONYX comes in a form factor that is designed to not only protect your camera but also be as lightweight as possible (it weighs just 980g). 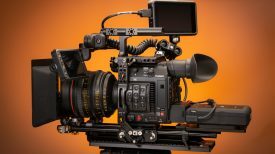 The concept behind the ONYX was to design a gimbal for filmmakers with compact cinema cameras who want to increase production value with high-quality video content, in dangerous situations and environments. Looking at the ONYX it’s hard to see how any of today’s smaller digital cinema cameras would be able to fit in the gimbal’s housing. It looks to be strictly for mirrorless cameras at this stage. 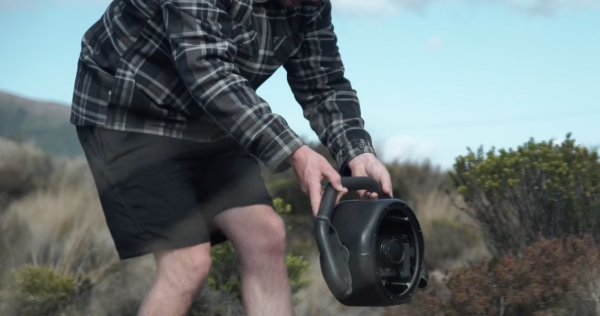 By virtually enclosing the camera in a protective ball (for the lack of a better word), the ONYX looks like it could handle being knocked, dropped or bumped without damaging your camera or gimbal. The ONYX also has a flat bottom base so it can put down without the need for using a stand. So what is it made out of? The skeleton is laser sintered aerospace grade titanium alloy, surrounded by a carbon fibre skin. According to Arculus, titanium alloy has the highest strength to weight ratio of any metal. DMLS (direct metal laser sintering) uses a high-powered laser and reads from a cross-section of a CAD file and micro-welding particles of fine metal powder together to form an exact shape. In short, it is a very clever way of reducing waste and assembly times. Carbon fibre shells in combination with carbon fibre tube hold the ONYX together, providing a structure that is stiff and strong. The shells have been developed with a toughened resin to withstand impact forces. There is even an optional removable polycarbonate dome with a surface precision between 1-10 micron and surface roughness lower than 10 microns. By adding this you can provide 360-degrees of protection if you are using the gimbal in dangerous environments. The Arculus ONYX uses a 32-bit control system that the makers claim provides optimal stabilisation performance even in the most demanding conditions. 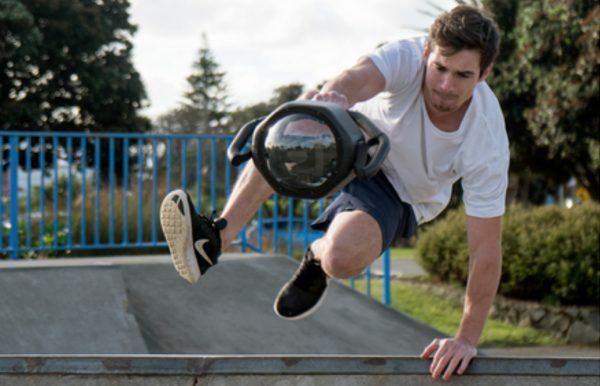 The gimbal uses encoded brushless motors and has a battery that is claimed to last up to 8 hours. The internal battery can even power your camera and other accessories. 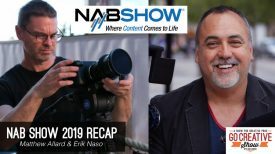 Additional software modes include the ability to create time lapses and hyper lapses content. The gimbal can be mounted or placed to perform time-lapses. 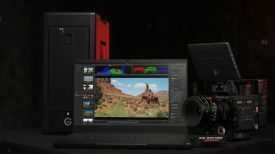 The performance of the gimbal looks to be pretty good from the material shown in their promotional video, but it’s hard to know if any post stabilization or cropping was done to the images. I do like the concept of the Arculus ONYX and it’s always good to see people thinking outside of the box. 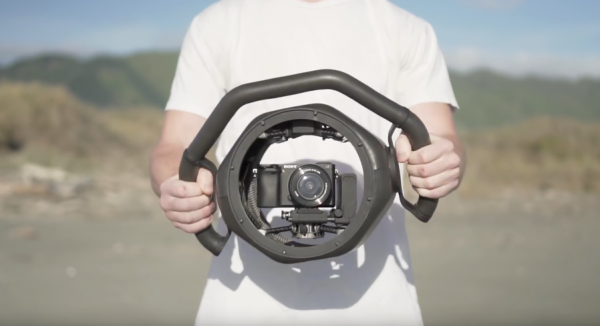 Too often we see copycat gimbals popping up that all the look the same and no thought has gone into trying to invent something different. The Arculus ONYX has been in development since 2015 and in May this year, they launched a Kickstarter campaign. The Kickstarter campaign ends in the next few days and unfortunately, it looks like they are a long way from reaching their goal. A the time of writing this only $13,982 NZ of their $100,000 NZ target has been reached. I can sort of understand why this is the case. The minimum backing amount is $2,599 and in recent times a lot of project ideas on Kickstarter and other crowdfunding projects have failed to deliver products after being funded. As always Newsshooter recommends strongly that you back crowdfunding campaigns fully knowing the risks that are involved. 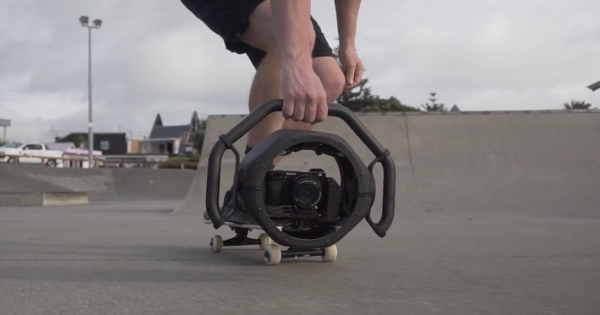 What do you think about this gimbal design and concept? Would you buy one? Let us know in the comments section below.